Officers are at Sydney Opera House as a hostage drama involving gunmen at a nearby cafe continues. Earlier reports that airspace above Sydney’s CBD has been closed were incorrect. 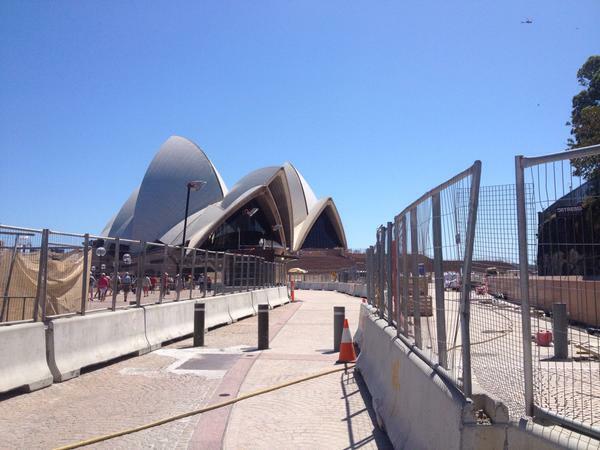 The iconic Opera House has been evacuated due to an incident there. Sky News is reporting a suspicious package has been found there. A New South Wales police spokesman told the Sydney Morning Herald officers were at the scene but no details of the incident were given. About 20 hostages are believed to be in the Lindt Cafe in Martin Place and some have been forced to hold an Islamic flag at the windows.